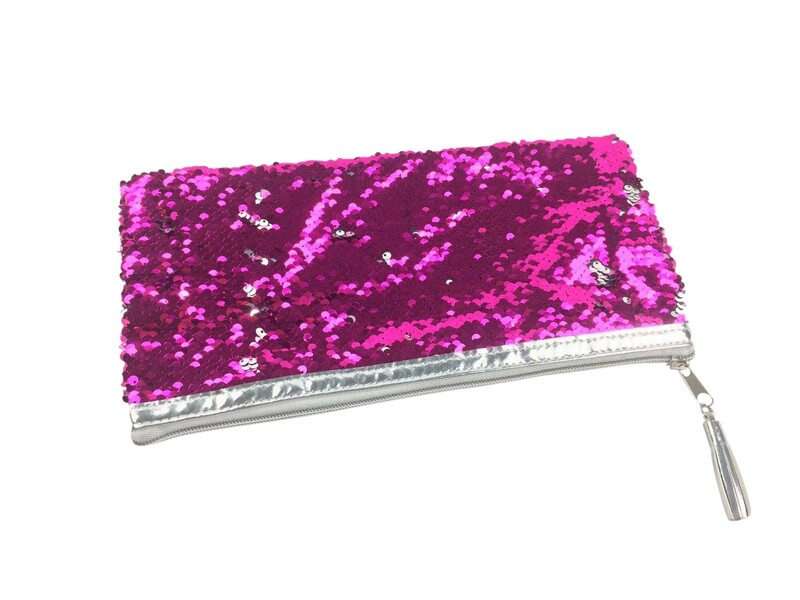 Store all your kool writing gear or use as an awesome makeup bag in this Reversible Pink to Silver Sequin Pencil Case. 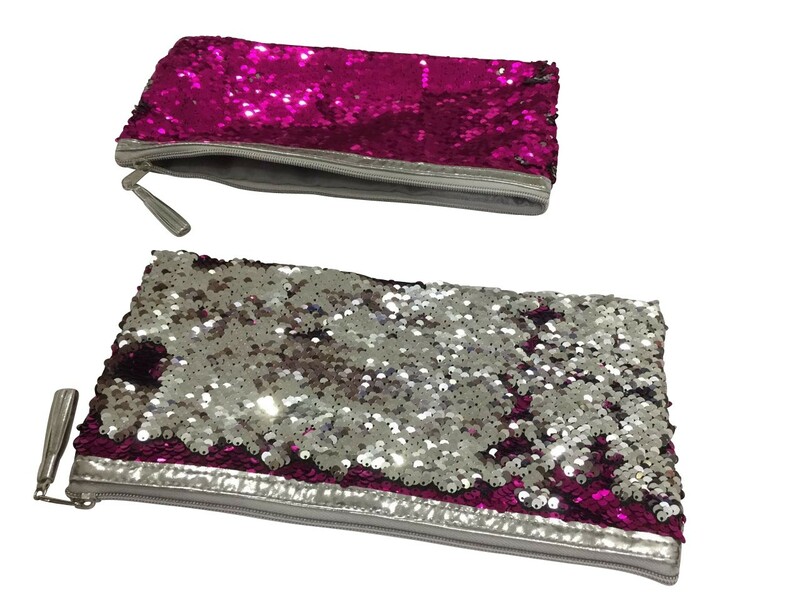 Simply push the sequins one way for a hot pink sequin colour or push them in the opposite direction for silver. 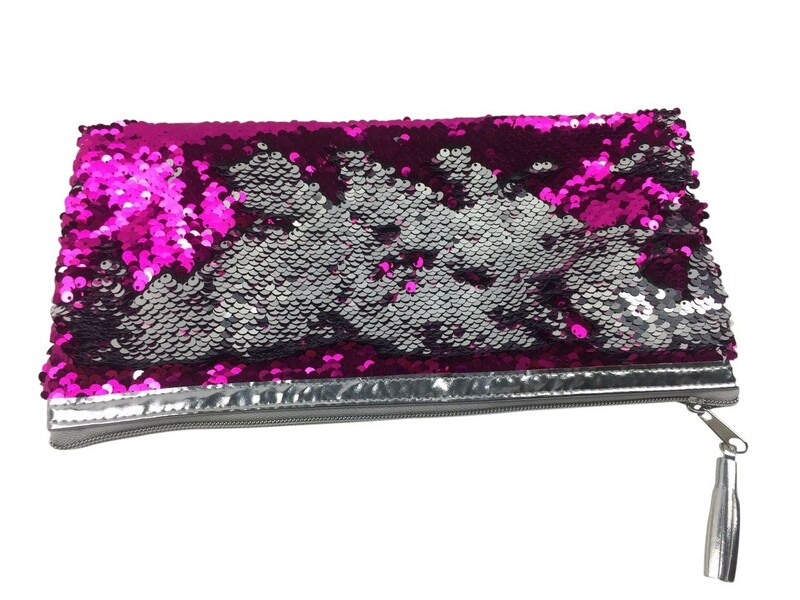 You will be super kool with this magical, endlessly entertaining school accessory!